Nice and spacious brick quad level home, has been updated and very well maintained. Updated windows and roof. Newer boiler and sump pump. Solar powered attic fan. Custom light fix's. Ceramic foyer. Open living room with hardwood floors and large picture window. Open dining area with door wall leading to nice covered patio and spacious yard. Updated eat-in kitchen, ceramic tile. Large family room with natural fireplace and door wall to patio and yard. Master bedroom with a master bath. All bedrooms have hardwood flooring. Updated bath. 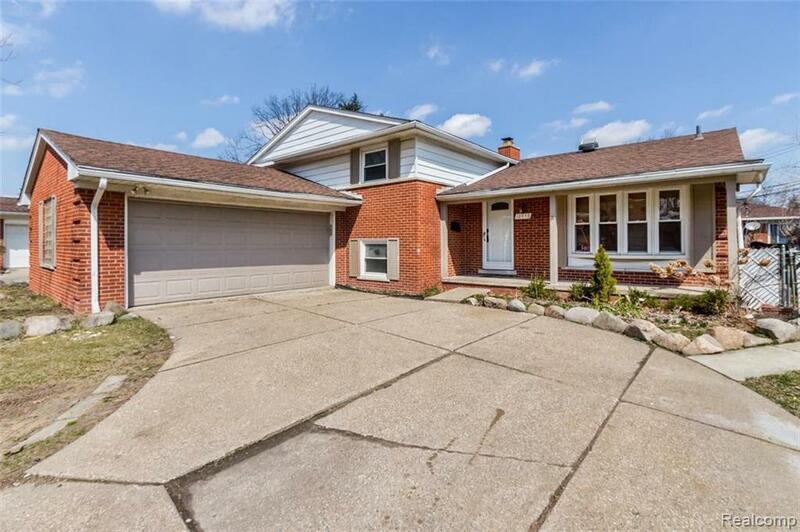 Full finished basement with living area, basement comes with a home cinema entertainment, cinema projector to stay, basement has plenty of storage and walk out access. Attached 2 car garage, nice curbed driveway for curb appeal. All data and meas. are approx. Buyer and buyer agent to verify all information.